or practice vocabulary in your child's native language. 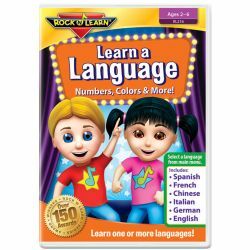 Choose from Spanish, French, Mandarin Chinese, Italian, German, and English—all 6 languages on each DVD! Numbers, Colors & More introduces colors, toys, clothes, furniture and counting to 10. Let's Play Outside includes simple words and phrases that involve playful outside activities and objects, as well as nature and common animals. Approx. 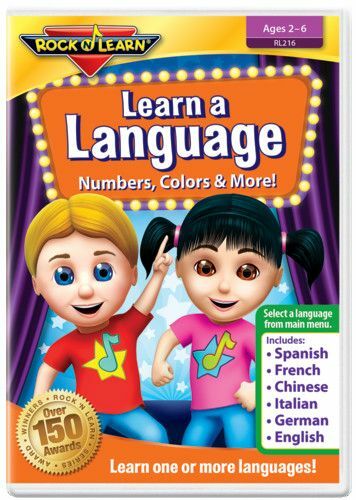 35 minutes per language, 3 1⁄2 hours total per DVD!